What better time of year is there than January to be a little romantic? The buzz of Christmas and New Year’s Eve has passed, the nights aren’t yet drawing out, and there’s a chill in the air. Time to get cosy by the fire, watch a good film, or, perhaps, enjoy a great lobster dinner at one of Torrevieja’s top-rated restaurants. 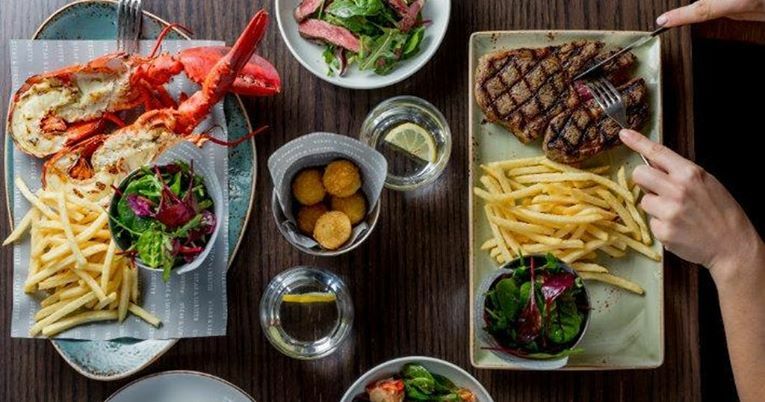 Lobster may be one of the most expensive foods on the planet, and you may have overspent a little during the festive period, but this doesn’t mean you can’t enjoy a fabulous lobster dinner this month. We’ve struck an exceptional deal with our suppliers, which means you can savour the flavour at a fraction of the usual price for lobster. Just €18.95 for a three-course feast. While the waistline may have expanded a little over Yuletide, lobster won’t put the skids under your plans to lose weight. In fact, there are many health benefits of dining on lobster in moderation. This includes that it is low in protein, packed with nutrients, and only 89 calories per 100 grams. There is something a little special about eating lobster together. Grilled with garlic butter and lemon, the flavours fizz on your tongue. Tearing into lobster together is a bonding experience, and the tender meat will help to get those pulses racing – lobster, like oysters, is a known aphrodisiac. Eating together should be fun. At Christopher’s, our friendly staff will help ensure you have a relaxing and enjoyable evening – a little luxury at an affordable price, just when you need it. You never know, there may even be a little romance in the air.